Stenciltown continues to grow with solid UML additions, a template for Facebook ads, and more. First, Jevopi uploaded a UML collection featuring v2.1 class, activity, use case, sequence, and component diagrams. Eric Wu added a Growth Gauge diagram that feature Growth Loops / Agile Cycles and UML & Flow Diagrams. An additional UML stencil, something we partnered with UX Kits to style, was also just added. This is the version you’ll find inside OmniGraffle 3 for iOS by default, too. 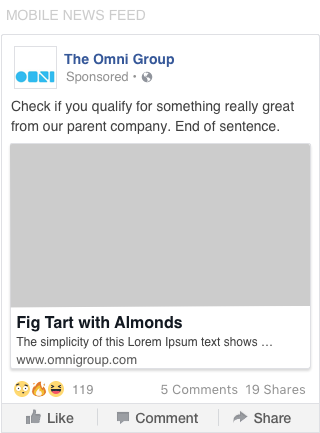 Finally, it’s easier to work on a variety of Facebook ads when you have a template! We just started doing some of our own ads, so we created a stencil for ‘em. We think this Facebook Photo Ad stencil will be handy to more than just us.